ST. JULIAN’S, Malta - Malta’s five-star Corinthia Hotel St. George’s Bay has partnered with expert photographer Gilbert Vancell to launch a new and exclusive ‘Focus on Malta’ photography holiday package. The eight-day holiday will showcase this Mediterranean island’s most beautiful locations and hidden gems, covering everything from local and ancient architecture to astrophotography and sea- and landscapes. The 2016 dates for the “Focus on Malta” photography holiday are April 16-23 and October 22-29. The “Focus on Malta” holiday, available on www.corinthia.com , is intended for amateur photographers and enthusiasts with an interest in culture, heritage, seascapes and landscapes. No prior expertise or experience in photography is necessary, as photography expert Gilbert will assist guests at every level. Guests are welcome to use any type or brand of camera, from a compact point-and-shoot camera, to a professional full frame DSLR with an array of lenses. The group size will between four to eight guest photographers, ensuring an exclusive and intimate experience. 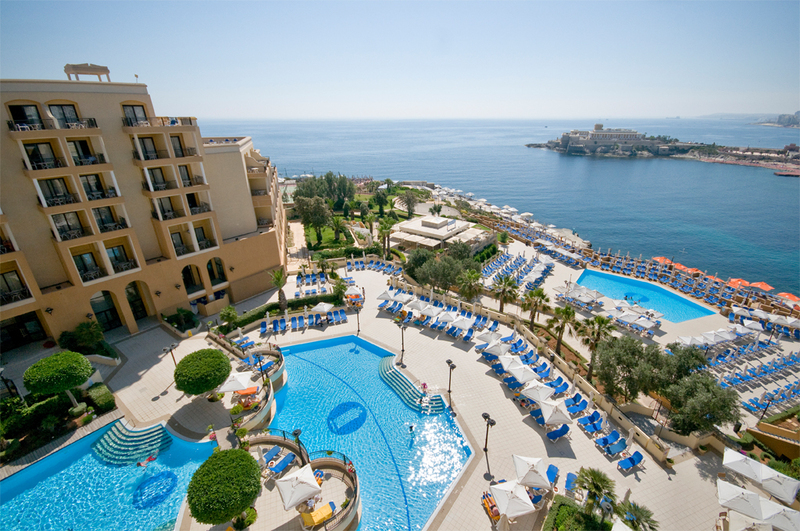 The five-star Corinthia St. George’s Bay is located on the coast of Malta, boasting panoramic views over the sparkling Mediterranean. Located next to the culturally and historically vibrant St. Julian’s, Corinthia St. George’s Bay was built around one of the thirteen seventeenth-century watch-towers. The village of St. Julian’s was established initially as a fishing village, which later became a summer residence for wealthy locals and has now developed into one of the Island’s mostly sought after resort for night life and entertainment. • Day 1 (Saturday): Arrival, transfer to Corinthia St. George’s Day, and introductions over dinner at the hotel. • Day 2 (Sunday): Sunrise at St. Peter’s Pool, breakfast at Marsaxlokk Sunday market, sunset overlooking the coastline from Qrendi. • Day 3 (Monday): Full day in Gozo shooting the Citadel, saltpans, Mgarr-Ix-Xini Fjord, local villages and the Dweijra area with the iconic Azure window. • Day 4 (Tuesday): A morning in Mdina, the Silent City and Rabat, and an evening of astrophotography, shooting the Milky Way and star trails from a hidden spot along Malta’s coastline. • Day 5 (Wednesday): A morning visiting The Three Cities, a private visit to St. John’s Co-Cathedral in the afternoon and a twilight session at the harbor overlooking Valletta. After dinner, a post-processing session by photography expert Gilbert Vancell. • Day 6 (Thursday): Sunrise in Valletta harbor, followed by a full day of shooting in Malta’s capital. • Day 7 (Friday): Sunrise overlooking St. Paul’s Island, afternoon visit to Siggiewi village, a sunset session overlooking the bay of Gnejna. • Day 8 (Saturday): Breakfast, farewell, and transfer to airport.